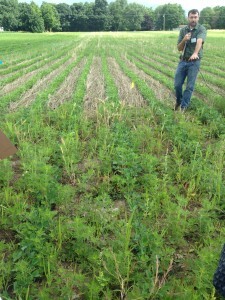 Last week we visited the Musgraves Research Farm’s field day in Aurora, and our experiments were on the day’s agenda. 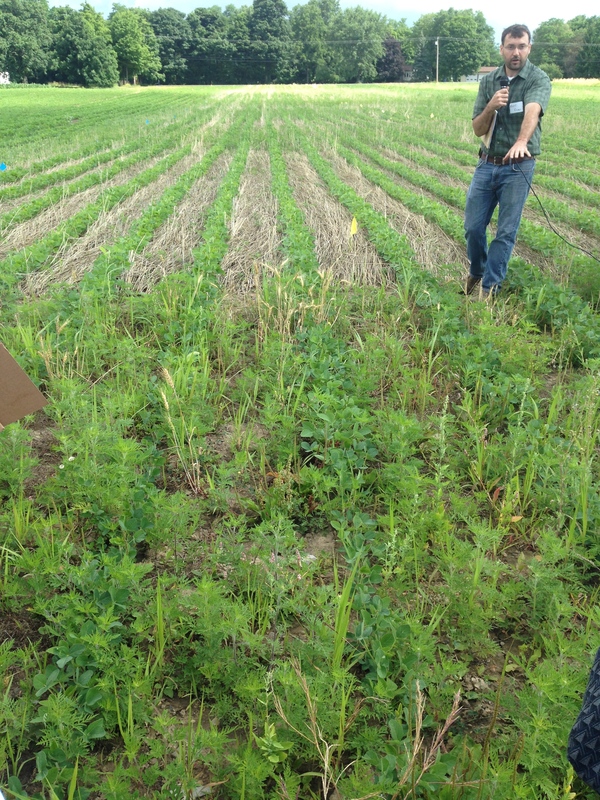 The field day focused on new management methods, breeding improvements, and environmentally sound farming practices. There were eight different stations located around the farm, and you learned a lot about each subject as you worked your way through them. This week was a nice break from the emissions testing routine because I got to work on a new project just past Aurora in Auburn. 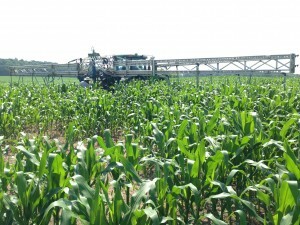 We are testing a new type of manure applicator that allows farmers to manure fields during the early summer, freeing up a lot of their valuable and limited time during spring planting.Manure applications can’t normally be done this time of year because the corn is too tall and the applicators we use today would crush a lot of the crop. 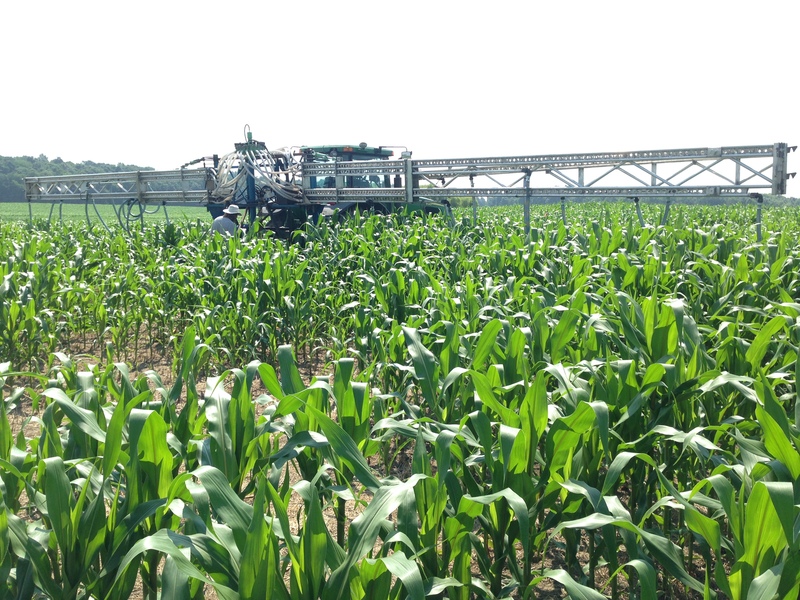 This applicator has been called the nutrient boom because it’s a 120-foot wide (48 corn rows) boom that stands high above the corn at around nine feet. In the front of the field, the boom is attached to a tractor and pulled to the back of the field. This causes the massive reel of drag line that is attached to the boom to unravel and follow the boom. 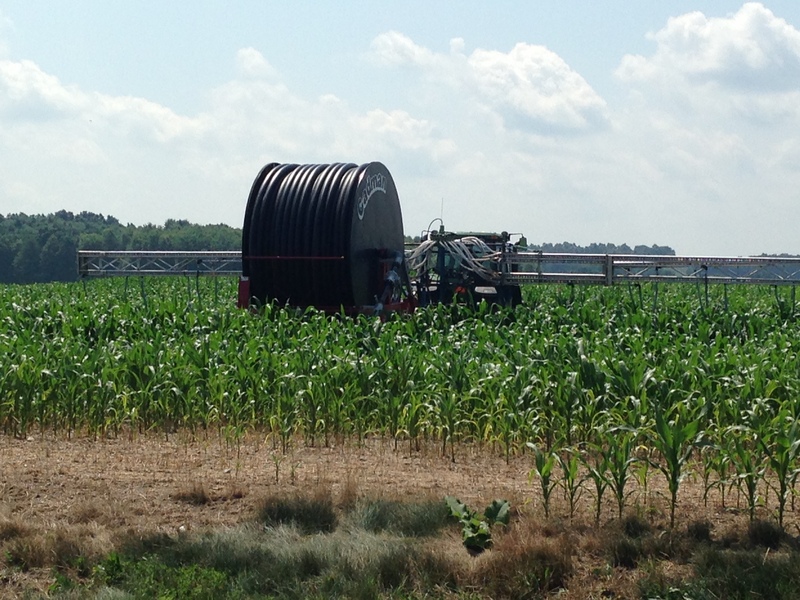 At the back of the field, the tractor unhooks the boom, and the reel begins pulling the boom back across the field, all while pumping manure through the drag line and spreading it over the 120-foot path. 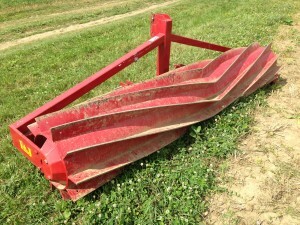 This is a new implement that has a lot of potential for growth and development in the future of agriculture. Apparently we weren’t the only ones excited by it, either. While we were using the equipment in the field, we noticed a man pull his car along the road and launch a surveillance drone. He flew this little four-rotor helicopter right over us and used its video camera to see what we were doing. I still don’t know what to think about that, but it makes for a unique story. I can’t believe that the summer is winding down already, but I’m sure that there will be some more interesting events in these last few weeks.